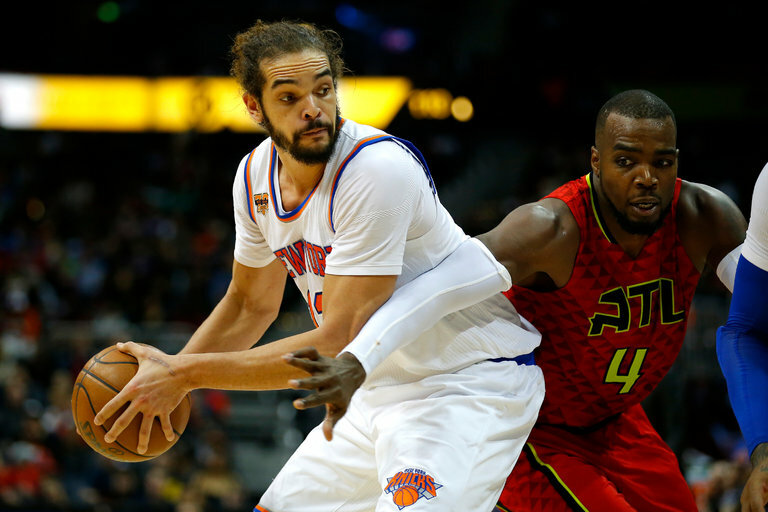 The Knicks’ Joakim Noah, left, who has been out with a knee injury, was suspended for 20 games for violating the N.B.A.’s antidrug policy. The Knicks’ Joakim Noah has been suspended for 20 games without pay for violating the N.B.A.’s antidrug policy. Yahoo Sports first reported the suspension. Noah has not played since Feb. 4 and was very likely to miss the Knicks’ final 10 games this season because of a left knee injury. The N.B.A. said Noah’s suspension would begin with the “first N.B.A. regular season or playoff game for which he is eligible and physically able to play.” That would presumably mean he would miss almost a quarter of next season. A 20-game suspension is generally assessed a first-time violator of the antidrug policy. The league tests for more than 160 substances under the current collective bargaining agreement, in effect through June, and administers four random tests throughout the season. On Soccer: The Players Are Retired. But Try Telling Them the Games Don’t Matter.